Planning a road trip with a baby or toddler can seem like a daunting task. 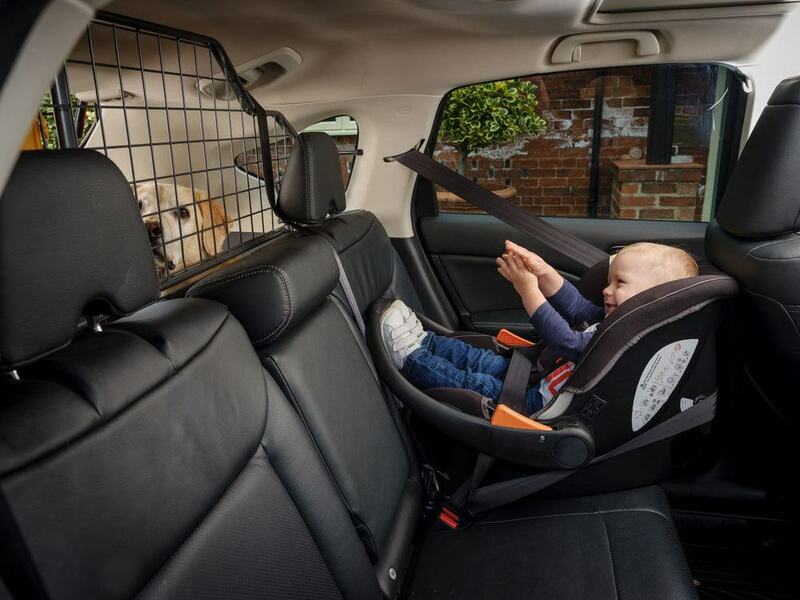 How will you keep your little one content while on the road? What if junior cries throughout the whole journey? How can your make sure the whole family arrives safe and sane? Worry not, fellow parents! 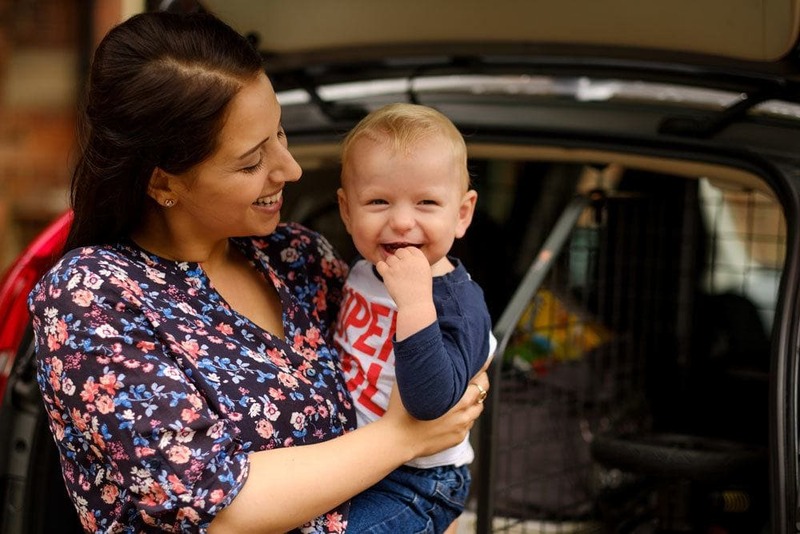 These seven helpful tips for a road trip with a baby or toddler will ensure a smooth ride for all. This story is brought to you in partnership with Travall. 2. Get in the backseat for playtime. 3. Distract with snacks and meals. 4. Keep all family members safe during your road trip. 5. Listen to music during the journey. 7. Watch movies on the road. 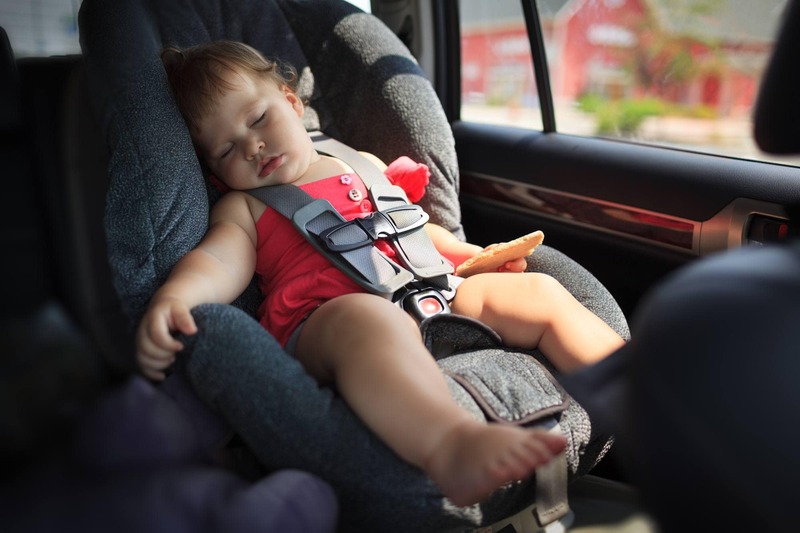 Keep in mind that babies and toddlers do not have the patience for super-long road trips that you might. Traci Suppa, author of the Go Big or Go Home blog, advises, “In our experience, the best road trips with really young children are short ones. As kids grow, so do their attention spans, allowing them to sit in a car for long stretches and remain immersed in their activities. If you have to travel a distance, schedule a daytime drive during their regular nap time.” If you have quite a long distance to drive, try to break the journey into manageable segments with stops for playing, eating, and sleeping. If you are traveling with another adult, it helps if one grown-up can ride in the backseat for at least a portion of the trip. Use your time on the road to bond with your baby. Bring along some familiar books and toys, as well as some surprise goodies. Check out our favorite travel toys for babies and toddlers. Bottles for babies or finger foods for toddlers provide tasty diversions during road trips. You can also join your baby in the backseat to spoon feed pureed baby foods or rice cereal on the go. 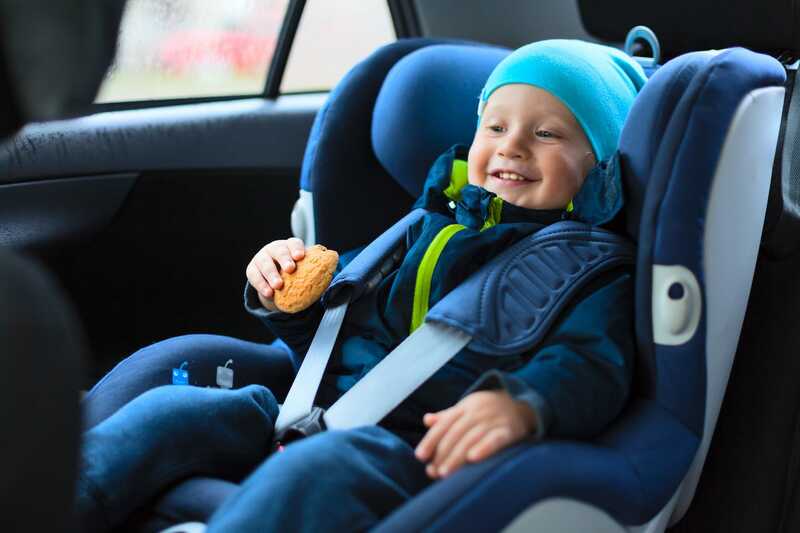 It’s important to keep children safely buckled in their car seats, though, so if your little one is still nursing, you’ll need to schedule stops for mealtime. For toddlers, pack some healthy travel snacks like whole grain cereals, fruits chopped into bite-sized pieces and cheese cubes. Put snacks in separate containers and provide them one at a time to avoid overwhelming youngsters. I always advise bringing along a “forbidden treat” or two as well. (M&M’s Minis are my go-to choice.) If you’re like me and you’ve got a child who is particularly prone to choking, though, I’d wait to do snacks and meals at a rest stop, park or restaurant. Of course, your number one priority during a road trip with a baby or toddler is to arrive at your destination safe and sound. Before setting out, be sure your vehicle is up-to-date on any oil changes or scheduled maintenance. You should also keep a roadside emergency kit in your car filled with bandages, medicines, a flashlight, and other useful items. Often these come with the vehicle, or you can purchase a pre-filled kit. It’s also important to keep your family safe from projectiles in case of a sudden stop or car accident. Anything not secured in your vehicle will fly through the air until it hits a window, dashboard, barrier or person. These projectiles can cause serious injury or even death. A “Baby on Board” sign may not do much to protect your little one during an accident but a Travall guard will. Keep any loose items like suitcases, camping gear, and travel cribs secured in the trunk or behind a Travall guard. Many of us consider our pets part of the family, and as a proud mama to an adopted shelter dog, I’m no exception. 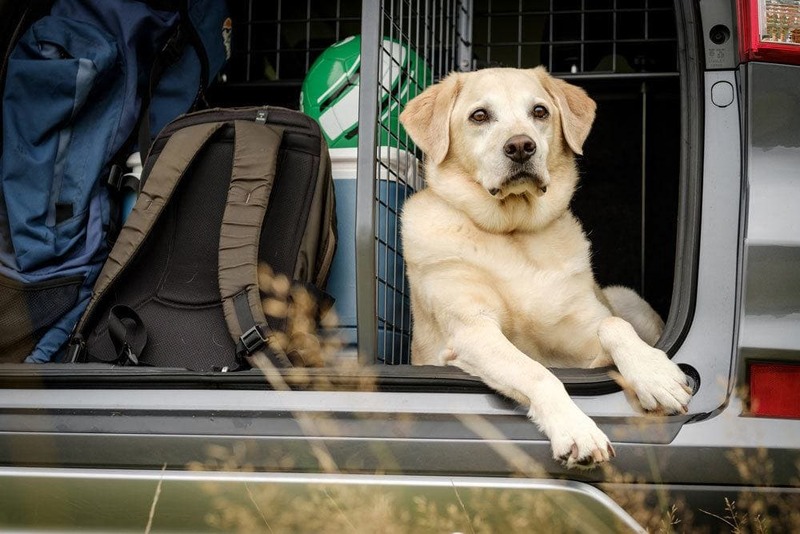 If bringing your family dog along on your road trip, make sure Fido is safely and comfortably secured behind a Travall Guard. Keeping your dog within a smaller space is safer not only for the people in the car, but also for your dog, who could become a projectile during an accident. Read more about Travall’s products now! 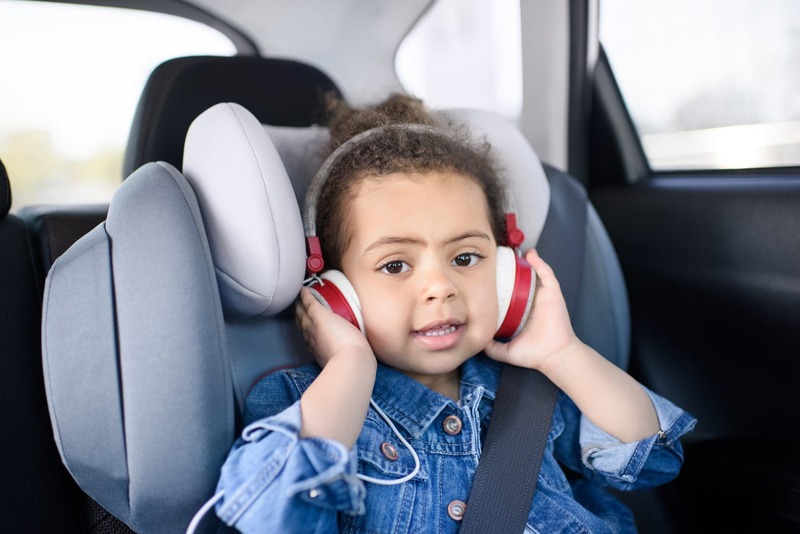 Music is one of the best tools for keeping families content and entertained during a family road trip. Music provides a wonderful gateway to other cultures, too. I personally love the Putamayo World Music collection of culturally diverse songs. Listening to music in another language is an easy and fun way to expose babies and toddlers to the sounds of words of another tongue. A favorite when my kids were wee is Songs in French for Children by Lucienne Vernay and Les Quatres Barbus. Dr. Jessica Voigts of Wandering Educators suggests making mix CDs or playlists for MP3 players. Include a variety of melodies that will appeal to everyone in the car. I learned this one the hard way. Plan to bring a bucket along on your road trip and keep it within arm’s distance. If your child has a bout of motion sickness or stomach flu, you’ll thank me. A simple plastic beach pail works well. 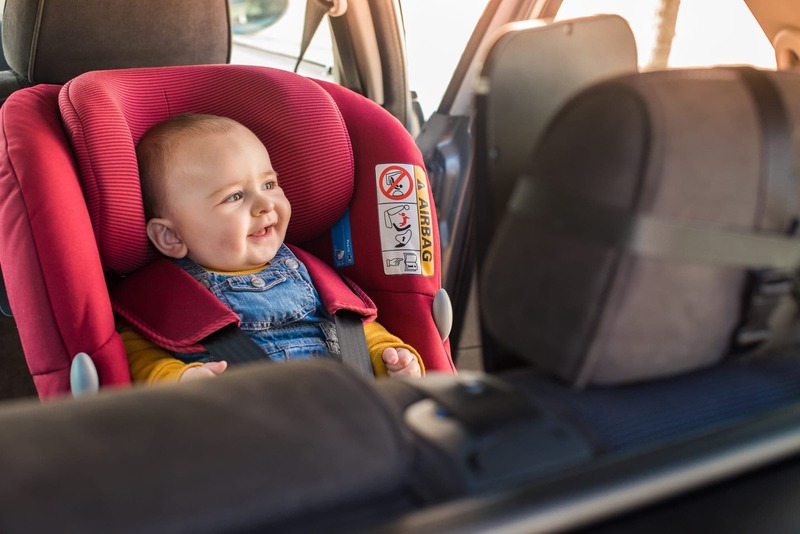 Even if you don’t allow your children to watch television or movies at home, you may want to consider bending the rules for a road trip with a baby or toddler. Worried your kids will expect a movie every time they get buckled in? Do as my friend and former neighbor, Sara, did with her children and tell them that the movies only work when you’re far from home. If your vehicle comes equipped with a DVD player, you might as well bring a long a few movies to pop in during a long delay on the road or in case of a whopper of a meltdown. Check out Baby Genius: Favorite Nursery Rhymes or Baby Genius: Favorite Counting Songs. If you’d like to encourage a nap, try Baby Genius Mozart & Sleepytime Friends Music. For additional ideas, take a peek at our picks for the best travel movies for kids. Planning a road trip with a baby or toddler? Check out Travall’s car products before you go! Do you have any additional tips or questions about planning a road trip with a baby or toddler? Let us know in the comments below! These are great tips! I’ve found that the key to road tripping with toddlers is to take your time. They can only handle so much in a day! These are excellent tips. When road tripping with toddlers, it’s key to make sure you don’t do more than they can handle and that you keep plenty of snacks and things to do on hand. I love the tip to get in the backseat to bond with baby/toddler during the drive. My nieces and nephews are typically completely passed out, I guess they are great road trippers! I love all these tips! My favorite one is probably the bucket. I have also learned the hard way on that one. It is real important one to have LOL. Yeah…you don’t need to learn that one twice! LOL. Your list is great. Traveling with children is not always fun, but can definitely be easier if you plan ahead. Being prepared definitely makes a difference when traveling with kids! Ha great tip for bringing a bucket! That is something we learned the hard way!!!! We leave at night a lot since my husband works nights and is used to those hours, so that helps a lot. I don’t usually recommend driving at night because I want parents to be alert on the road, but that works out perfectly if your husband is used to being up at night! 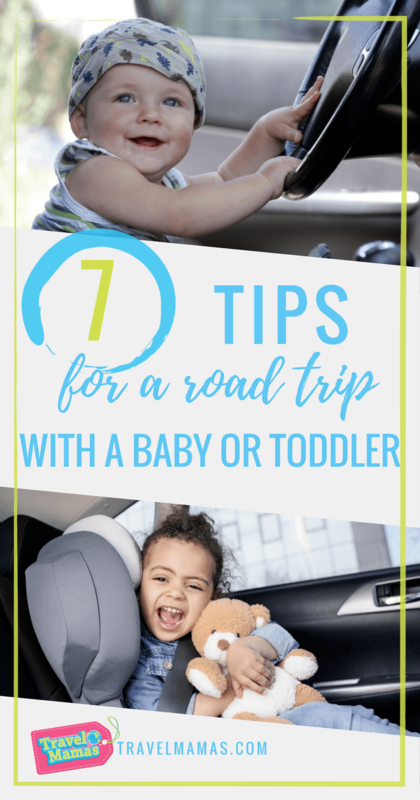 We will be road tripping this season and I can always use extra advice for making it as seamless as possible for our littlest family members! Thanks for the marvelous tips! Safety would be a big priority for us and having an emergency kit is a good idea. I definitely think bringing some educational music along is a good idea. Safety is the MOST important thing, especially when traveling with kids! When I am planning a road trip with little ones I always plan frequent rest stops. Kids like to get out and stretch their legs. Packing a lot of snacks is a must. Agreed! I know some people like to power through, but my family likes to stop and get some fresh air from time to time during the journey. Lots of snacks, drinks, movies, and toys are my only tips. Also, leaving when it is dark helps them to sleep more. These are all wonderful tips. I think traveling with kids can be hard at times. I always make sure to have activities and food/drinks with. Smart! You don’t want to be stuck in traffic or far from a restaurant when hunger strikes! Yes, kids seem to get used to traveling and settle into it. These are all great tips for taking a road trip with a baby and toddler. The good news in that pretty much all of these work for teenagers, too. LOL Our biggest road trip must haves are snacks and kids entertainment. These are all great tips. We travel a lot with our 4 kids and it’s so important to be prepared and try to prevent boredom. Especially when traveling with FOUR kids! Enjoy your family travels, Sarah! Bringing a bucket is a great tip! Sadly we’ve needed one a few times! It’s such a simple thing, but so easy to overlook! Taking a road trip with your baby can work really well if you are prepared. Excellent tips! Sometimes the family’s dog can have an upset stomach. We now have a hand towel in the back seat for such a case. The bucket just won’t work.